We're a Kent bird club and we hope this website will promote both the club and the keeping of cage and aviary birds in and around the Gravesend and Medway Towns area. We're keen to stress that the focus is on local matters, providing information about this and other Kent clubs, and a guide to where to find birds and buy equipment. We've also included a link on keepers' language, which sets out what we mean by terms like specialist societies . In this way, we hope the website will be useful whether you've years of experience or yet to own your first bird. We are also aware that if you're new to birdkeeping, it can appear a daunting prospect coming along to a club meeting for the first time. We therefore hope that these pages will give you a better understanding of our club and help to overcome any initial concerns. We'll certainly be glad to see you. 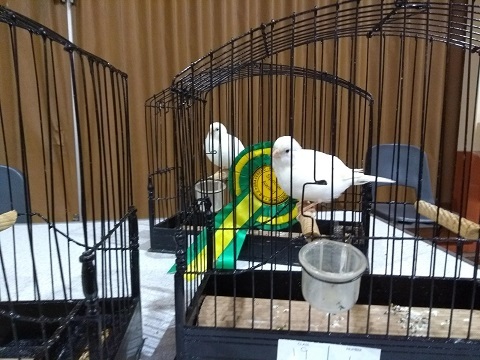 05 April: following agreement at the AGM for the club to highlight an improved understanding of particular bird species, this coming Monday's meeting (08 April) will feature presentations from/ discussions with Steve Allwright, Richard Hammond and Bryan Rush on Gloster and Scots Fancy canaries. The aim is to try and cover all aspects of keeping the birds. Please feel welcome to come along on the evening from 7:30 - 9pm. 11 February: at the club's recent Annual General Meeting (AGM), the club elected a new president (Bryan Rush) and chair (Steve Allwright) to take the club forward over the next twelve months. Special thanks were given for Ted Bishop and John Chapman for their stewardship over the year and beyond. The February meeting is coming up tonight and we'll be taking a look at some of the items/ actions that came out of that meeting and deciding how to build them into the club's activities for this year. Hope you'll able to come along. 30 December: our club Annual General Meeting (AGM) is coming up on Monday 14 January. Packs will shortly be going out to members and we're pleased to announce that members are willing to stand for all positions. Will look forward to seeing you on the evening. 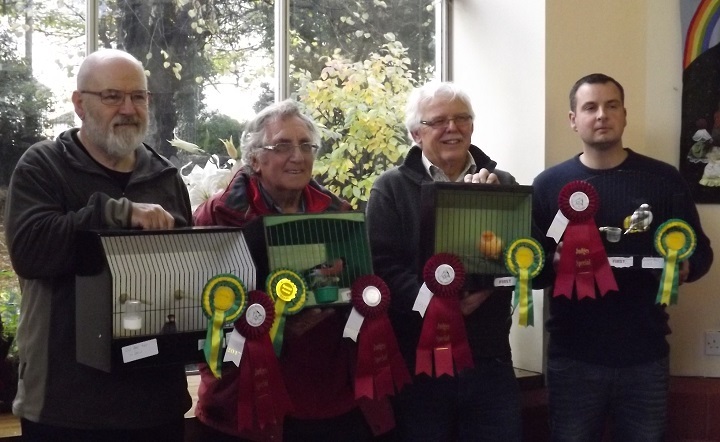 04 November: our annual club show is taking place this coming Saturday (10 November). Birds will be accepted from 8:00 to 09:30 which judging starting from 10:00. Doors will be open to the public from 2.00pm with presentations/ end of show at 3:30pm. Hope you're able to join us on the day. 10 Oct 2018: a quick reminder that the interclub show with Dartford takes place on the evening of Thursday 18th October. This will be held at Dartford's venue (Joyden's Wood) and run from 8-10. Members are asked to try and bring up to four birds at this points-based event. Schedules for our open show will also be available for any member who couldn't make Monday's meeting. Hope to see you on the night. 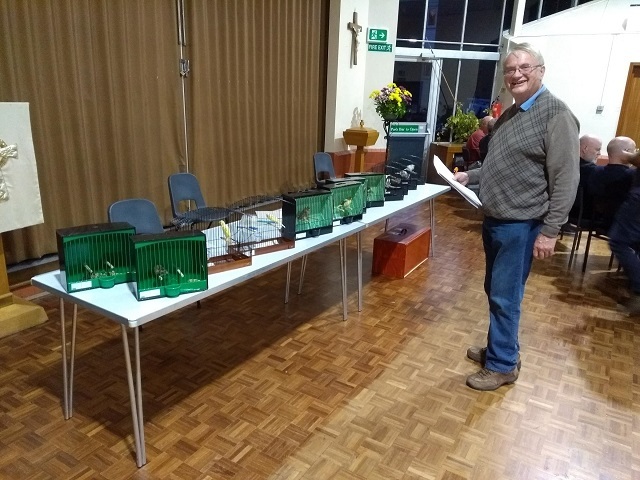 28 Sept 2018: We held our foreign birds table show in July and our British birds and canaries table show in Sept. As ever at these events, we'd like to thank members for bringing birds on the evening and to those members who were able to make it on the night or sent apologies. Part of both meetings' discussion included planning for the annual show and details will be finalised at the October monthly meeting on Monday 08 Oct. Schedules will be available on the night and the doors will be open from 7:15 with a 7:30 start. 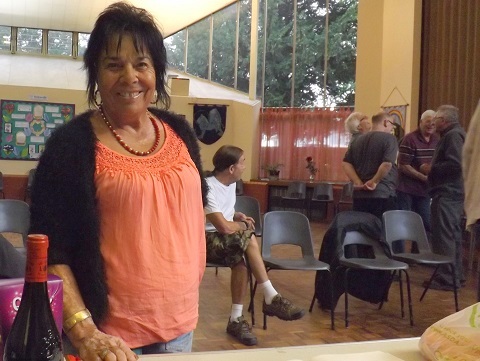 Interested members of the public are always welcome at our meetings. 24 May 2018: Thanks to everyone who came to the May meeting where we had a quiz in addition to monthly business and discussion. The next club meeting will be on Mon 11 Jun 2018 when there will be a talk on ospreys and kingfishers. The doors will be open from 7:15pm with the meeting running from 7:30 - 9:00pm. 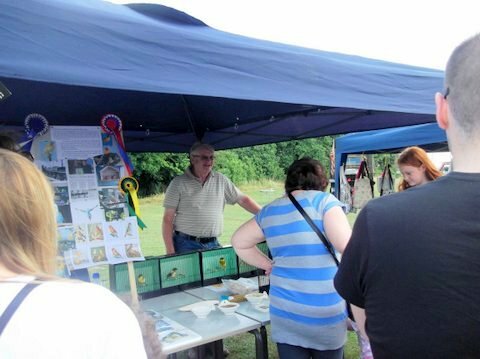 We're currently working through a complete update of the 'Local bird clubs & shows' page and hope to finalise this in June. The club now has its own closed group on Facebook. This will help us keep more regularly up to date with members and interested parties. You can request to join the Facebook group through the banner below. The Gravesend Bird Club has a long history and, with the dissolution of many bird clubs in recent years, GBC is now one of the few cage bird clubs still remaining in Kent. The club meets every second Monday of the month for presentations, discussions, table shows, and general banter/ exchanging of advice. The highlight is the Saturday, annual show that's open to the public. Not all keepers show their birds though and potential members shouldn't be put off if they're only keen on knowing more about the hobby in general. If you'd like to consider joining this Kent bird club, come along to one of the monthly meetings and have a chat with the members. Don't worry if you're new to bird keeping and we welcome new members even if you're still considering which birds to keep. If you’re not able to join us in person, you can now join on-line through PayPal, which provides a secure on-line payment system. We started this service in recent years and hope that you’ll feel encouraged to join our club and help us to build for the future. You don't need to be based in Kent and we'd welcome your support and interest from anywhere in the world. On-line members will receive by email: essential information as it becomes available, a quarterly update, and a copy of the schedule for the annual show. Membership for 2017 runs until 31 Dec 2017 and subscription rates are £5.00 (adult), £2.00 (junior aged 15-17 years), £8.00 (couple), and £10.00 (show partnership). The PayPal link is accessed via our contacts and membership page. The Swanscombe and Northfleet Cage Bird Society was founded in 1924 and held its inaugural meeting in the Queen's Head pub on The Hill in Northfleet. The Gravesend and District Cage Bird Society was founded in 1937 where it initially met in Freeborn's Hall in Peacock Street, Gravesend, before moving to St. James Hall on Darnley Road. The two amalgamated in 1946 to form the Gravesend, Northfleet and Swanscombe Cage Bird Society with meetings originally being held at Princes Street Hall in Gravesend before moving to the current location in St Mark's. At the 2016 AGM, members agreed to change the club's name to Gravesend Bird Club. The design of the website has been updated for HTML5 but we have aimed to provide, as far as we're able, optimum accessibility to users with regard to type of browser, resizing of browser window, and screen reading software. We'd therefore like to hear any comments or problems that you may have encountered in using this site. Many thanks.